Editor's Note: WARNING - Photos and hyperlinks in the 'conclusion' section of this essay are of extremely graphic nature. They have been included in this piece due to their unequivocal importance to the overall view of what is taking place in Syria. There is another element that the US State Department did not reveal to the public. An element behind the curtain, behind the 'solidarity.' 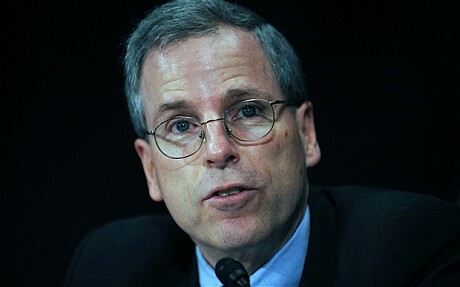 The primary reason why US Ambassador to Syria Robert Ford traveled to Hama was to deliver tapping devices to the Syrian Muslim Brotherhood-dominated opposition. The devices were meant to capture images of their protests to later be amplified prior to airing them with the international Zionist media. The devices were also meant to spy on Syrian security forces, including the army and police in anti-Assad areas. While Syrian security forces dismantled a good deal of these apparatuses, many of them still exist in the Saudi-Zionist-backed opposition’s strongholds (10). 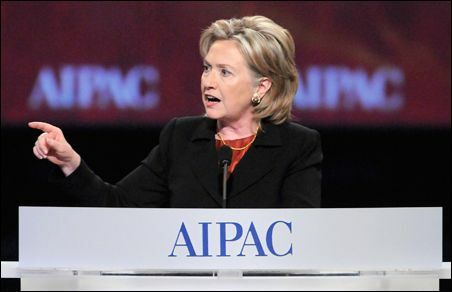 In the aftermath, avid Zionist and murderous war criminal Hillary Clinton responded to the rage of the Syrian people and sharpened her sword of rhetoric. She explicitly stated, “He (Bashar al-Assad) has lost legitimacy, he has failed to deliver on the promises he's made, he has sought and accepted aid from the Iranians as to how to repress his own people. He is not indispensable (14).” The arrogance of Clinton is nauseating; as if she and her government, who take their orders from the Zionist regime that has stolen al-Quds, have the right to dictate who will or who will not lead Syria; as if the majority of the Syrian people who support the Assad government and its Resistance don’t exist. With Libya now in complete disarray at the hands of NATO and Israel, the globetrotting Zionist Lévy has set his sights on Bashar al-Assad and Syria. Lévy led a conference last week in Paris's Cinema St. Germaine against the Assad government, likening Bashar al-Assad’s ‘crackdown on pro-democracy protesters’ to that of the Nazis. The conference was comprised of Zionists, former French officials, Syrian opposition figures and a Syrian Muslim Brotherhood representative. The point of Lévy’s conference was to mobilize the ex-French regime officials to lobby Russia and China in dropping their support for the Syrian Resistance government and getting both nations behind Libya-like resolutions against Bashar al-Assad. 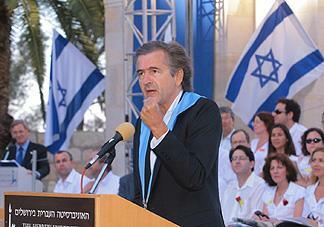 Lévy demanded that Syria be referred to an international tribunal (23). The most disturbing of the attendees of Lévy’s meddlesome conference is a ‘Syrian opposition figure’ named Ammar Qurabi (24). Qurabi is the main source of information, statistics and rumors throughout the media institutions owned by the sheikhdoms of Qatar and Saudi Arabia and has repeatedly delivered fraudulent information and inflated protest numbers to the Zionist media (25). Qurabi’s wife writes for the London-based Saudi Arabia propaganda outlet, Elaph (26). He is frequently quoted as a ‘credible source’ by Western wire services like Reuters and AFP in regards to the ‘civilian death toll’ of the 'Syrian Revolution.' Qurabi however, is anything but credible. If the information initially presented doesn’t indicate that he is a stooge of the House of Saud, Qatar and Zionism, the following revelation most certainly will. 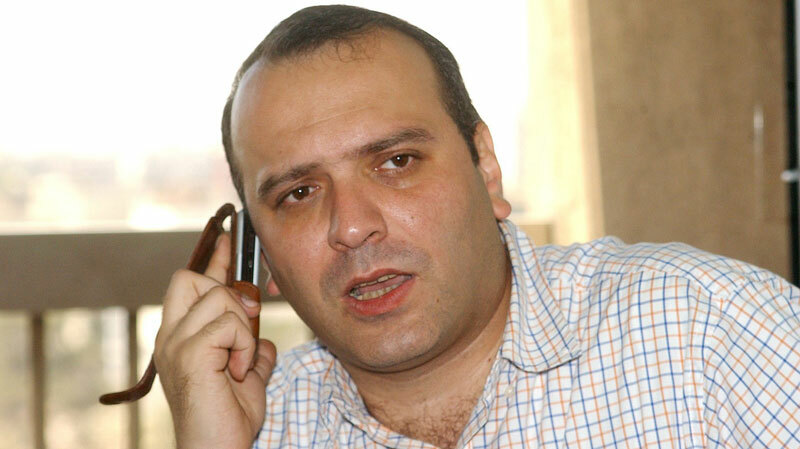 Prior to establishing Syria’s National Organization for Human Rights, Ammar Qurabi worked for Human Rights Watch and the Syrian Human Rights Committee. Human Rights Watch, handsomely funded to the tune of $100 million by billionaire Zionist war criminal George Soros, has a long history of working with Zionist think tanks and intelligence agencies in fostering war propaganda, specifically against the now ravaged nation of (occupied) Iraq. 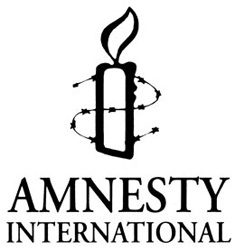 The Syrian Human Rights Committee is a promoter of Human Rights Watch and Amnesty International and an affiliate of the Patriotic Union Of Kurdistan, a Mossad-linked Zionist political party in northern Iraq with a militia trained by IOF (27). Do all 'human rights activists' work with elements of the Zionist war machine? Clearly, Qurabi is no ‘Syrian human rights advocate.’ He is an agent of the Zionist-Saudi axis’ destabilization operations against Syria. 4. France will in turn provide the necessary support to Erdogan's upcoming parliamentary elections, to change the Turkish Constitution to serve the process of joining the European Union. 15. France to give Turkey $45 billion in the accounts of the European Union to support development operations in Turkey after Turkey's commitment to the provisions of this Agreement and such amounts will be disbursed in tranches based on Turkey's obligations to the provisions of this Agreement. There is an alternative view of what happened to Hamza Ali al-Khatib, a view that has not even been given a fraction of the coverage that the mainstream (i.e. Zionist) view has. The alternative view is: Hamza indeed did take part in 'pro-reform' protests in the Dara’a Governorate and was indeed killed. 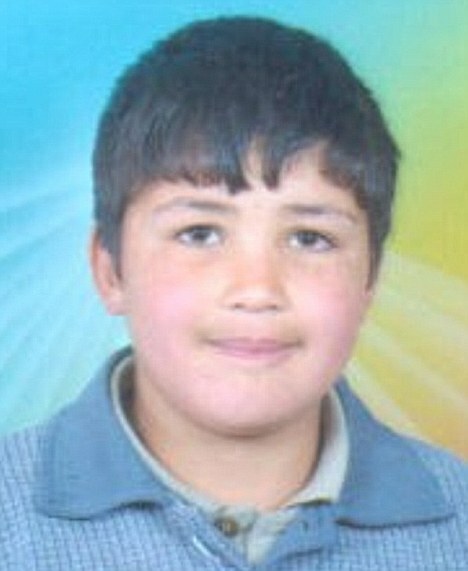 However, the boy was not ‘murdered’ by Syrian security forces. He was caught in the crossfire of Saudi-Zionist-trained armed fighters and Syrian security officials at the Saida military housing compound. The armed brigade captured several children, including Hamza, and led them to the compound at gunpoint. They then opened fire on army, police, security forces and civilians. 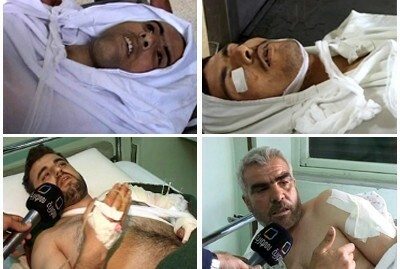 In the April 29th battle, a Syrian security chief was gunned down along with several others. 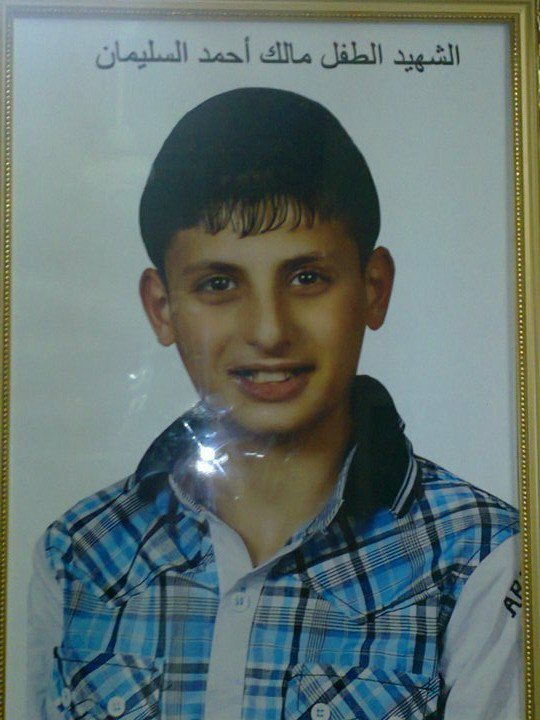 Hamza’s body was taken to the hospital and once he was identified, he was transferred back to his family. Bashar al-Assad himself traveled to the family’s home to offer his condolences. The body in the now-infamous Youtube video belonged to that of a still unidentified man in his 20s, which was photographed and taped by Syrian opposition members (34). The second boy in this ‘tale of two children,’ is one that the greater majority of those who follow mainstream news and even those who claim to be activists have never heard of. This boy isn’t marketable, nor is he profitable and unlike Hamza, his story cannot be manipulated, mutated and transformed into a media fiasco. 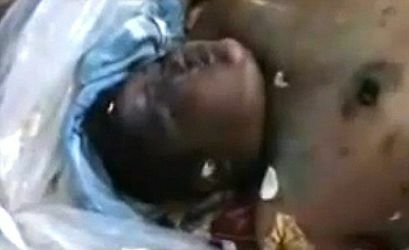 This boy’s name is Malik Ahmed Suleiman. He was only 14 years old. Young Malik was from the city of Homs, a major battleground between the Zionist-Saudi axis’ destablization operatives and supporters of President Bashar al-Assad. He was the son of Syrian Army Colonel Ahmed Suleiman, a supporter of President Assad and a staunch Syrian nationalist. 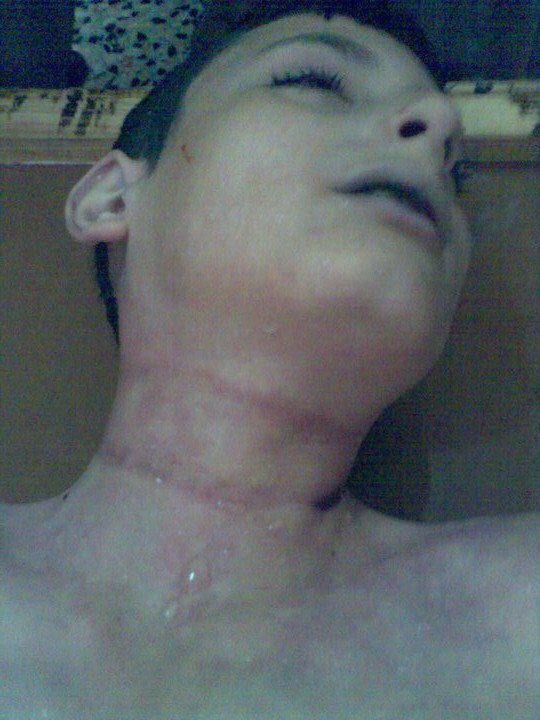 On May 29th, while the world was incessantly clamoring about the false stories regarding Hamza al-Khatib, Malik Ahmed Suleiman was strangled to death with a belt in front of his home for holding up a picture of Bashar al-Assad during an anti-government protest. ﻿﻿The Zionist end game is to fracture Syria into multiple states of ethnic-sectarian distinction (39), ripping apart the unified fabric of the society that has prospered under the leadership of the Assad family for decades. 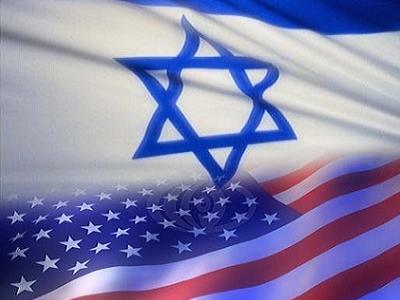 The means of achieving this end lies within the savage opposition, a creature of Zionist-Saudi cooperation. This creature must be exposed for the Israeli-engineered beast that it is and the plot that it represents now more than ever as Zionist mobilization continues its climb towards all-out invasion. It must be exposed for Malik. It must be exposed for Hamza. And it must be exposed for the millions of other Syrians and their children whose lives are very much at stake. It is up to the people of conscience to reject the status quo, break free from the mainstream shackles and do so. An intelligent and coherent read, thanks Johnathan. Great article my friend, I've even done something I've never felt the need to do before with your work and checked some of the sources. I don't see that any of what you've given us here can be disputed. I only hope that people wake up before it's too late. As always, a remarkable exposure, mon ami. I have not even read it in depth yet, but I shall as I polish it up for my blog. Your warning about graphic in the beginning is going to be worth exploring because I, for one, have no bones about exposing graphic to my readers. I am a huge believer in the old "one picture a thousand words" theory. In fact, when Operation Cast Lead began, I had more or less not blogged for well over a year and it was the lack of graphic shocking pornographic photos in the West (such a sanitized version of war they sell over here! 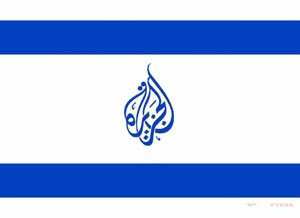 )of the pain of the Palestinian people that got me into gear again. I can only pray that the passion and work you put into these pieces bears fruit... there are no words that can possibly express the utter revulsion I feel about all of these imperialistic manoeuvrings going on at this time! Great article! 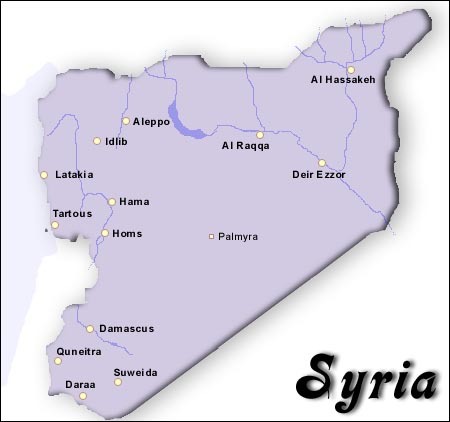 Let´s hope the best for the Syrian people, may God protect them and their President. I'd bet the traitors used Hamza and other children as human-shields, because they are out-gunned. There was a Canadian some years back, who was deported, through the states, to Syria some years back. I forgot his name off the top of my head, but when he returned a while later, he won a many million dollar lawsuit, based on the fact that he was 'brutally tortured by the Assad regime'. More bs probably, as if the cancer-wind and stench of parasites weren't enough..